Taking Piano lessons and using Math puzzle software significantly improves maths skills of elementary school children. 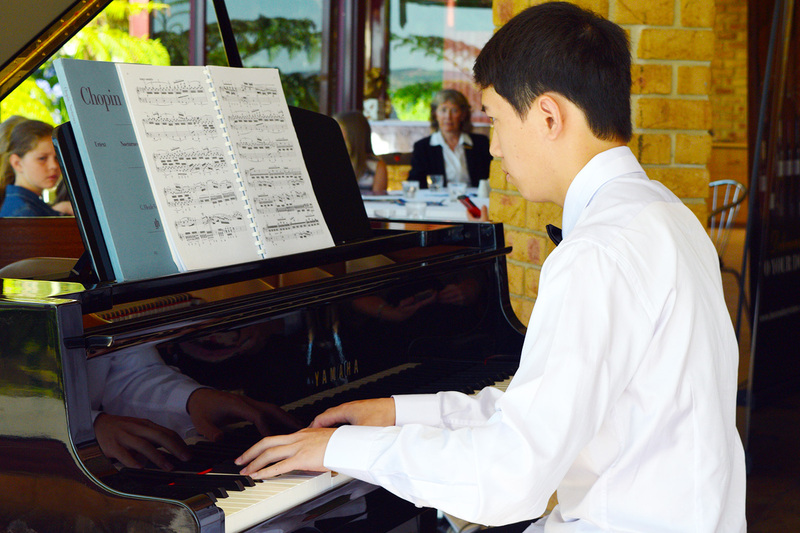 Piano Boosts Student Math Achievement. Second grade students were given four months of piano keyboard training, as well as time using newly designed math software. The group scored over 27% higher on proportional math and fraction tests that children who only used math software. STAR – called Spatial – Temporal Animation Reasoning – allows children to solve geometric and math puzzles that boost their ability to manipulate shapes in their minds. The findings are significant because a grasp of proportional maths and fractions is a prerequisite to maths at higher levels, and children who do not master these areas of math cannot understand more advanced math critical to high tech fields.